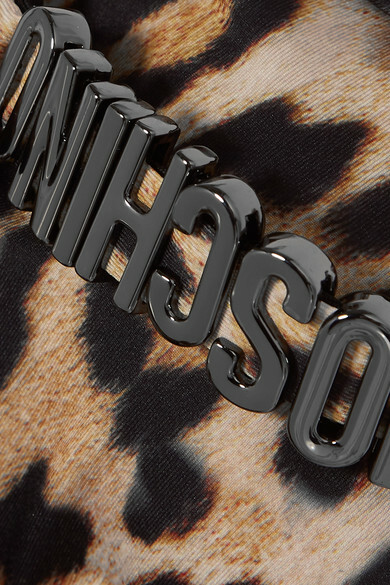 Moschino's bikini top combines two of our favorite trends this season - leopard print and logomania. Made from sculpting stretch fabric, it's cut in a triangle shape and the halterneck straps are embellished with the label's iconic lettering. Team yours with the matching briefs and a pair of hoop earrings. Wear it with: Gucci Sunglasses, Laura Lombardi Earrings.